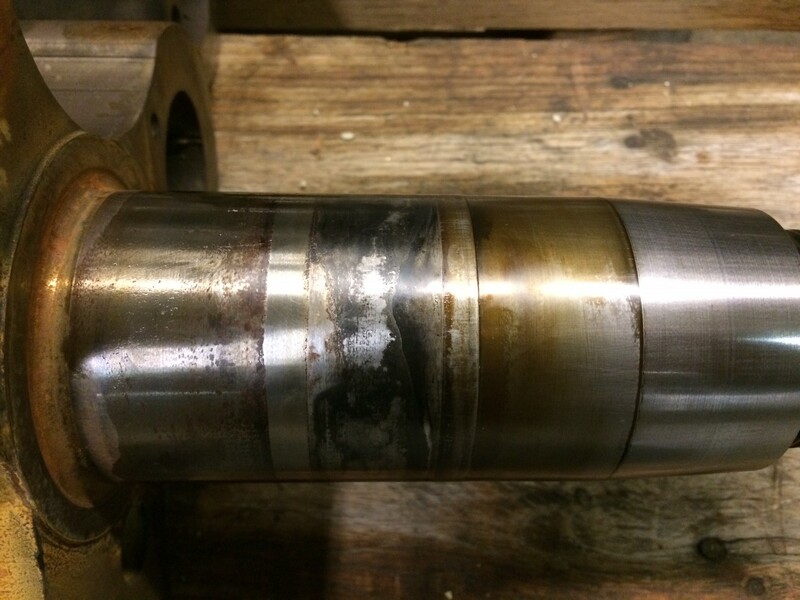 How do you determine what size hydraulic pump is need for your specific application? First determine with the body manufacturer, what flow (GPM) is necessary for operation, and what the system’s max operating pressure (PSI) needs to be. 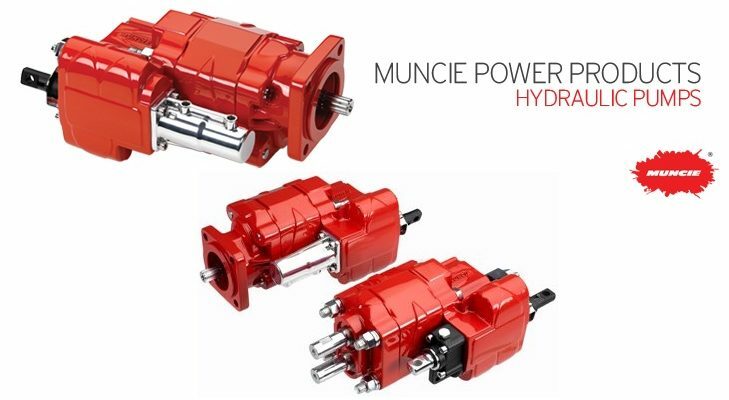 Muncie Power Products uses pumps that are generally rated at 1000 pump shaft RPM. To determine what your pump shaft RPM will be, multiply your engine RPM by your PTO speed percentage. For example: a truck running the engine at 1200RPM with a PTO speed percentage of 112% will have a pump shaft RPM of 1344RPM. Using this example with a Muncie pump rated for 15GPM, you would see approximately 20GPM. Always be sure to have the correct size hoses on your pump, and never bush down of constrict the flow on the suction/inlet side. Doing so will potentially starve the pump for oil and cause it to burn up. The pump itself does not generate pressure. The pump is rated to withstand a specific pressure, generated by the system itself. Over pressurization of the pump/system can cause cavitation in the pump and cause failure. 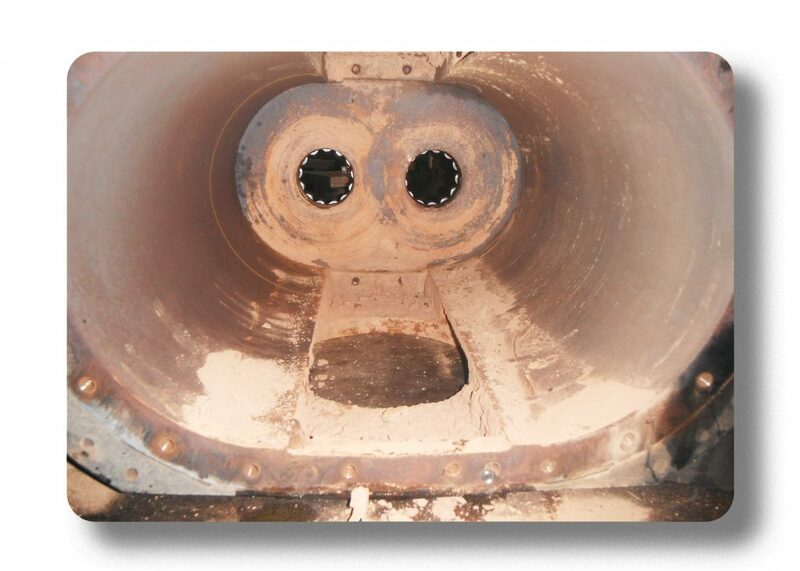 A pressure relief valve is a valuable tool in preventing this occurrence. Note: It is important t avoid using Teflon tape on Muncie Power Products pumps, or any other brand. The use of Teflon tape will void any warranty considerations. You can find more information on Muncie pumps on Muncie’s website, or by calling R&M Equipment Company at 610-495-9706. Here we have some recent repairs to a 770 RAM X. A larger amp draw and trip outs from the motor indicated that the blower was having a problem. 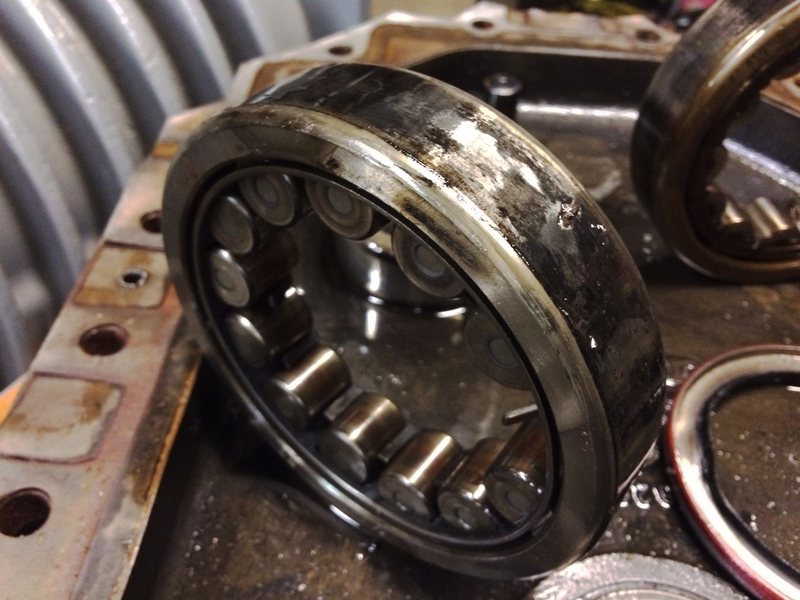 Once the blower was taken apart, R&M service technicians found a bad bearing had overheated and the inner bearing race began to fuse to the drive shaft. 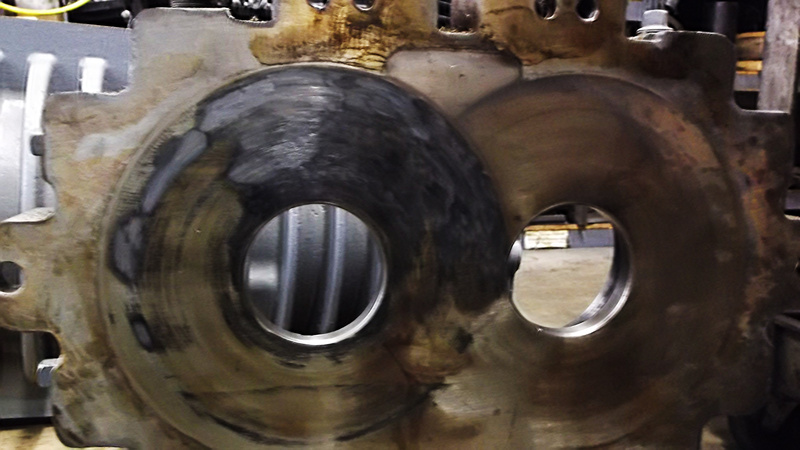 Because of the bad bearing the impeller end was grinding on the headplate and high friction, heat, and pressure caused detonation and deformation. 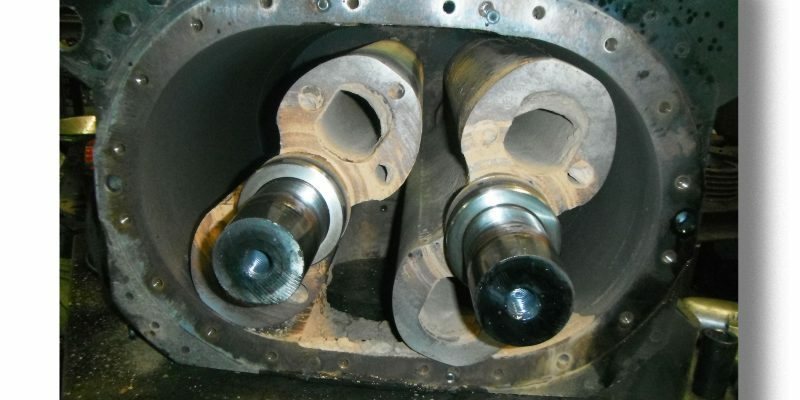 These problems were probably caused by insufficient oil maintenance. We urge our customers to set up a proper maintenance schedule for oil, checking air filters, and monitoring instruments. Correct stud kit installation is essential to PTO operation and ensuring long life. 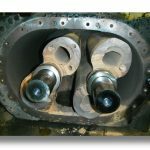 Failure to follow correct stud kits installation could result in leaks and PTO/transmission damage. Install the stud until the barrel of the stud is even with the transmission pad. This typically requires a torque limit of 30-35 lbs.-ft. (6 bolt pad) or 40-45 lbs.-ft. (8 bolt pad). 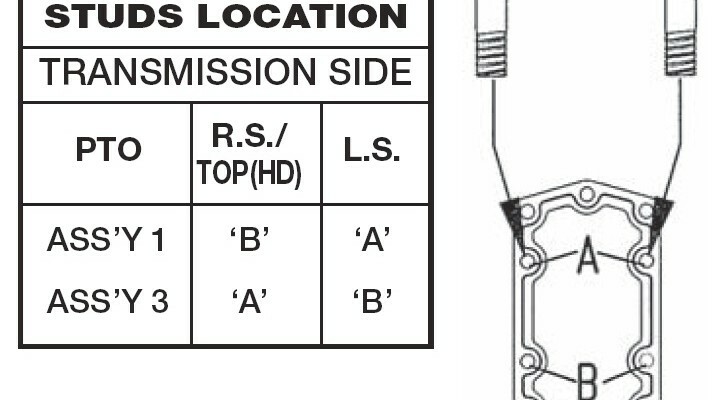 If more torque is required to install the stud to the barrel or to the depth shown in the table below, remove the lock patch form the stud and transmission mounting holes and use a liquid Loctite in place. Place the shims/gaskets over the installed studs. Position the PTO and start the nuts. Do not tighten yet. Check for gaps and proper mesh between gear teeth. Check for proper backlash. Tighten and torque using the “X” pattern. Torque mounting cap screws/nuts to 40-45 lbs.-ft. (6 bolt) or 50-55 lbs.-ft. (8 bolt). 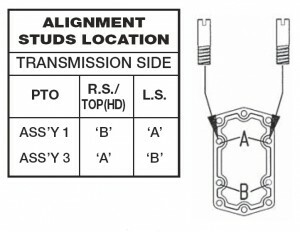 Install alignment studs in transmission housing the correspond with the following diagram. The mounting gasket on the installed studs. 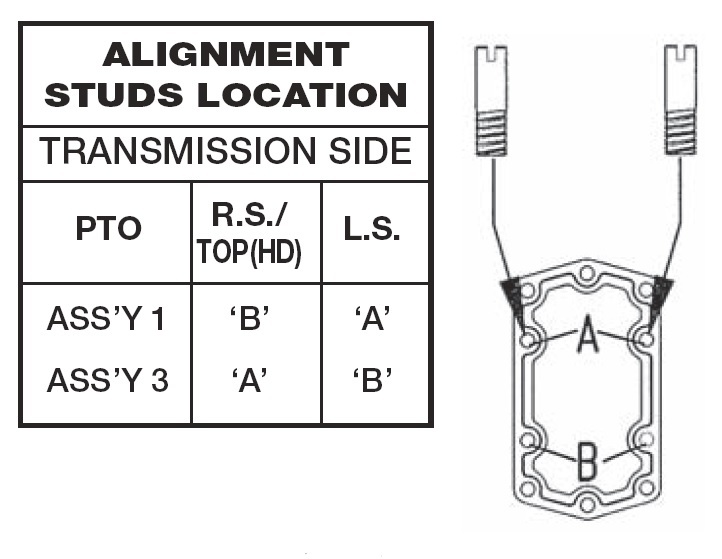 Check for gaps/proper mesh between gear teeth. 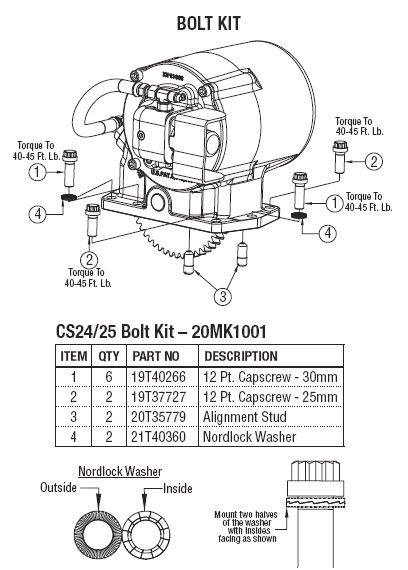 Assure correct installation of Nordlock washers on the correct cap screws; tighten top and bottom cap screws. Tighten remaining screws using “X” pattern. Torque 40-45 lbs. 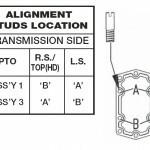 ft.
You can find information on correct stud kit installation in the owner’s manual provided with you PTO, on Muncie’s website, or by calling R&M Equipment! 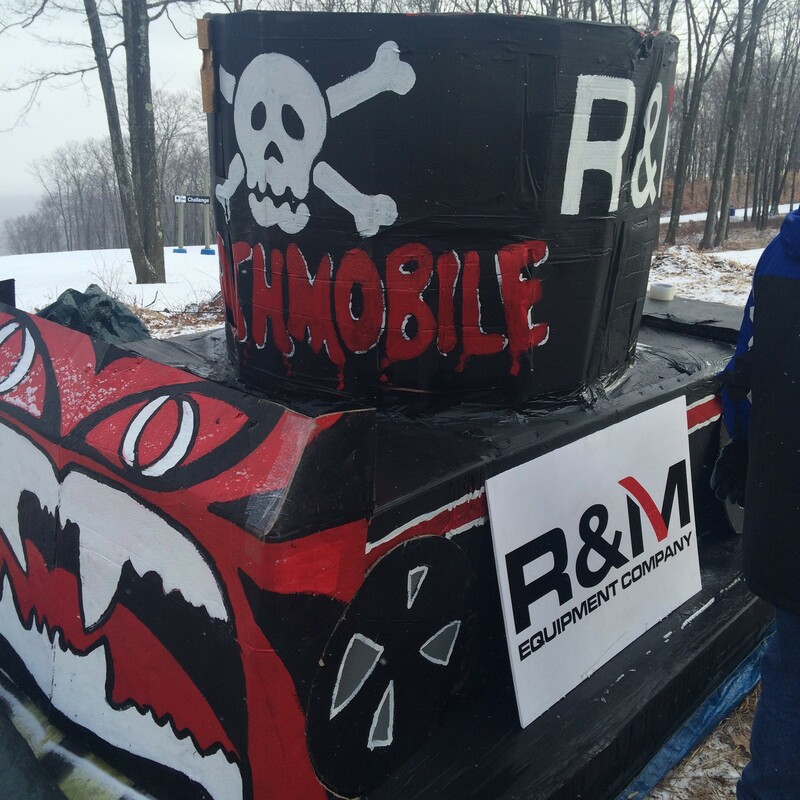 R&M recently participated in 93.3 WMMR’s 2016 10th Annual Cardboard Classic at Jack Frost / Big Boulder. 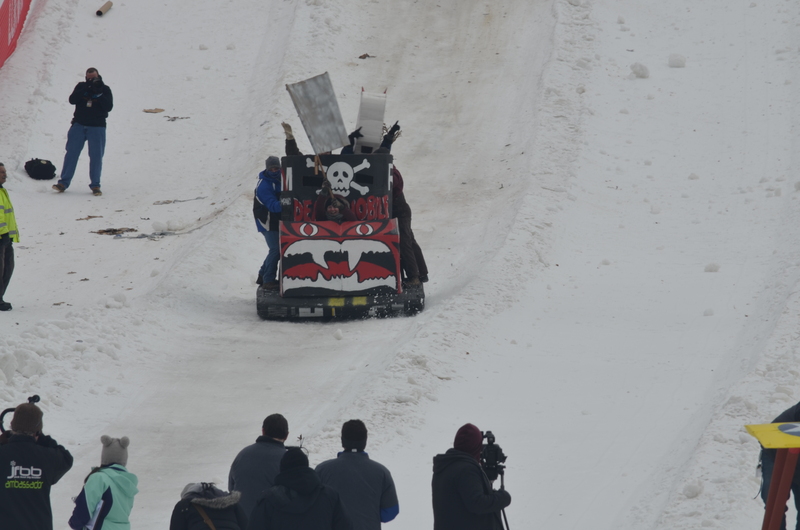 This was our first Cardboard Classic so we were wary whether our sled would make it all the way down the snow tubing hill. 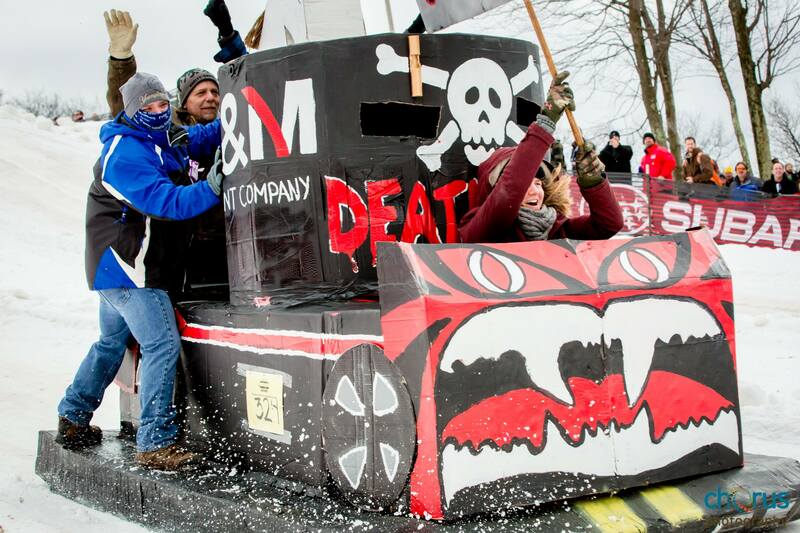 Sure enough, R&M Equipment company builds a sturdy steel package, we can also build a sturdy and fast cardboard sled! 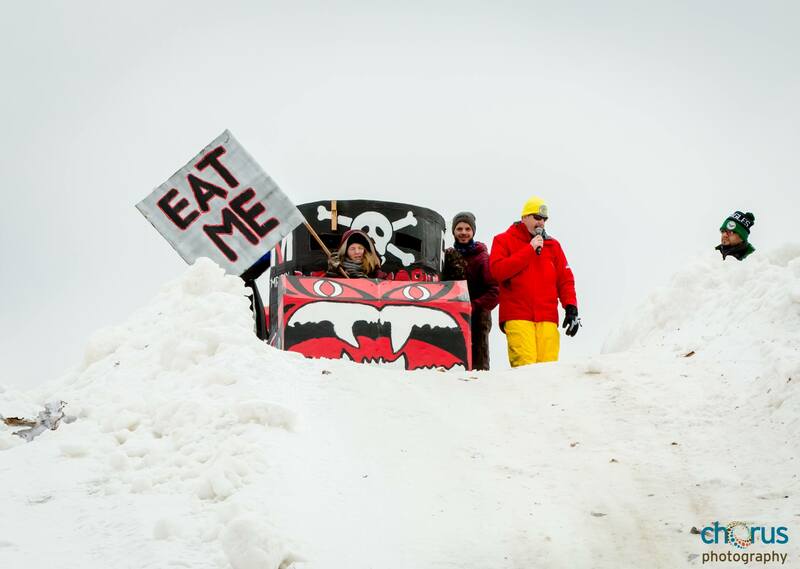 We whipped down the hill in our sled decorated as the Deathmobile from the movie Animal House. Shout out to Chorus Photography, our nearby neighbor, for photographing the event! 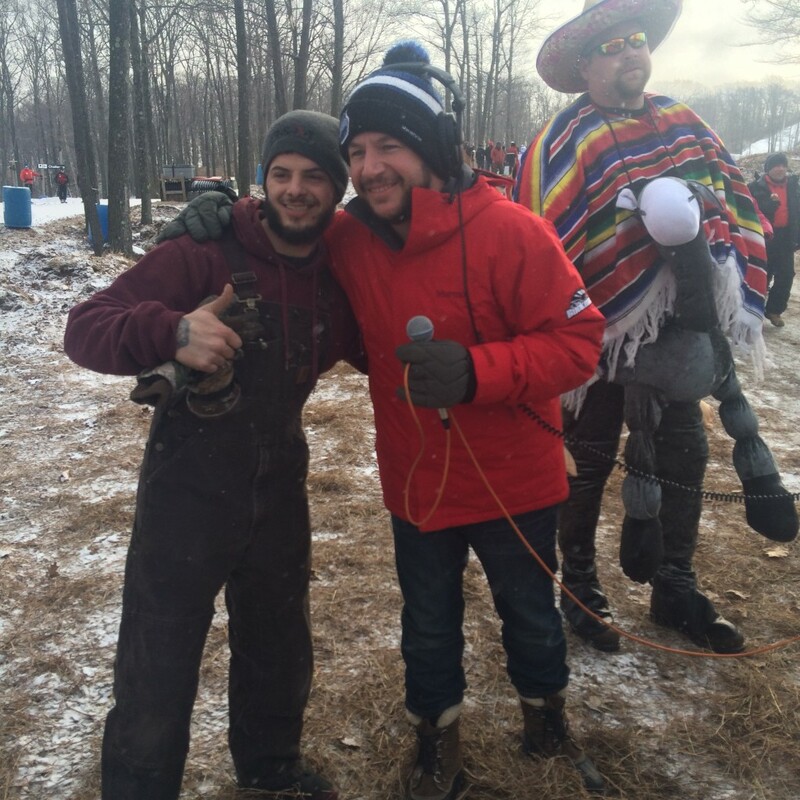 Thanks to J.P. Mascaro & Sons for coming out and recycling all the sleds, and finally thank you to 93.3 WMMR for making the event possible. 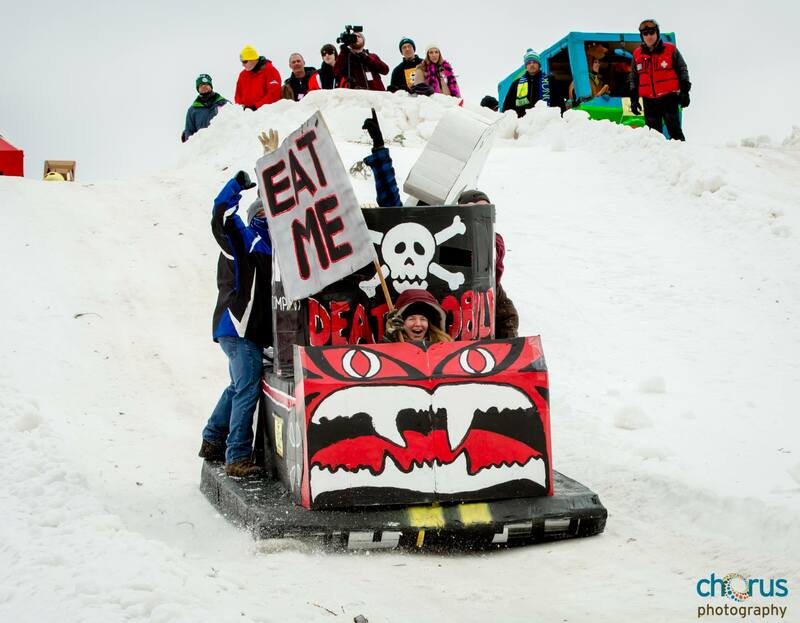 We can’t wait for Cardboard Classic 2017!! 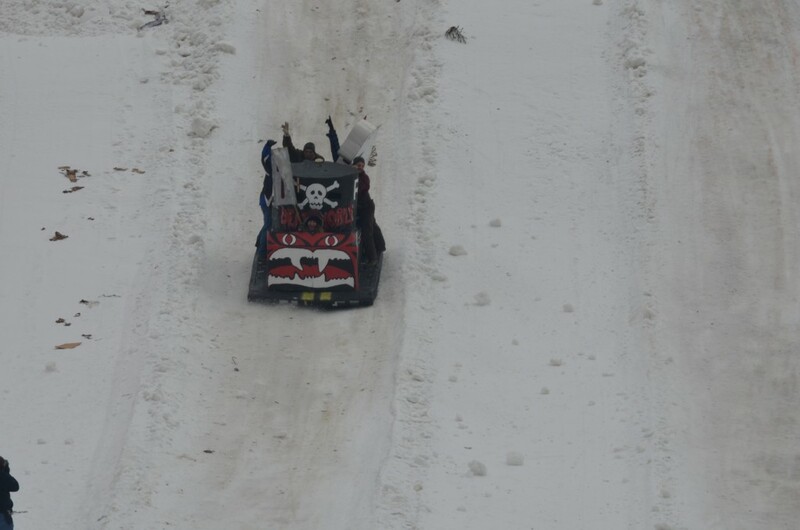 Here’s the video. 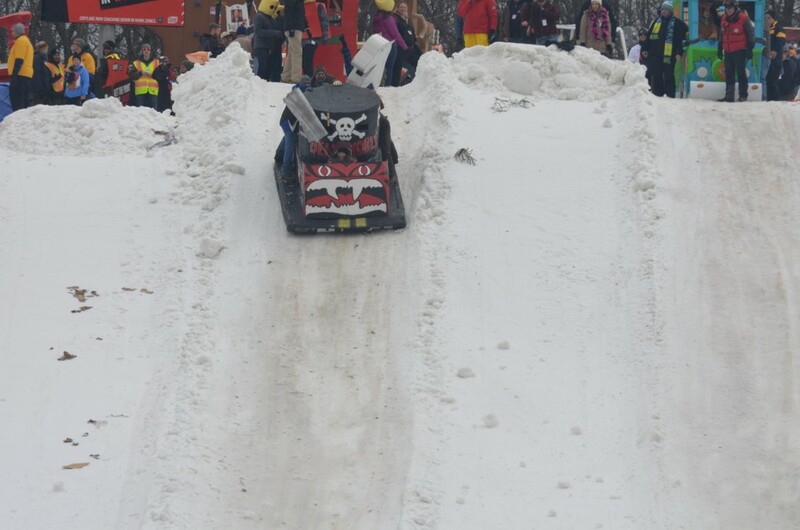 All the sleds that participated were great! 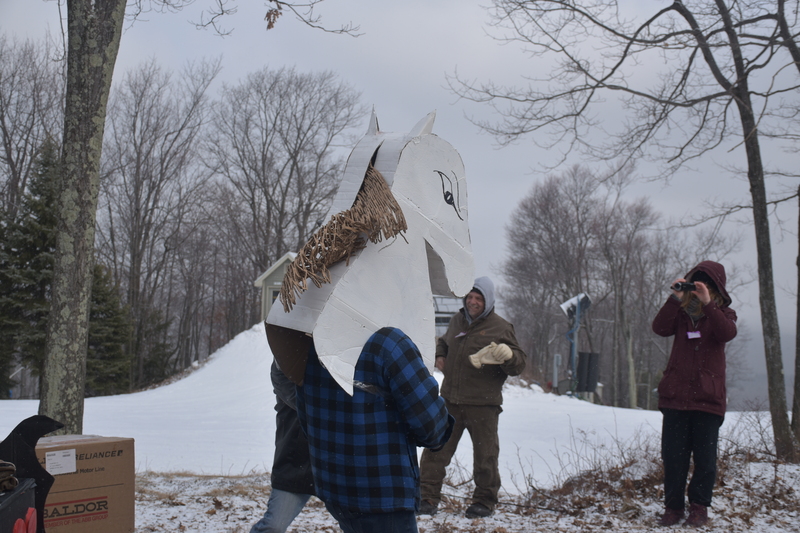 See us at the 2:00 minute mark. 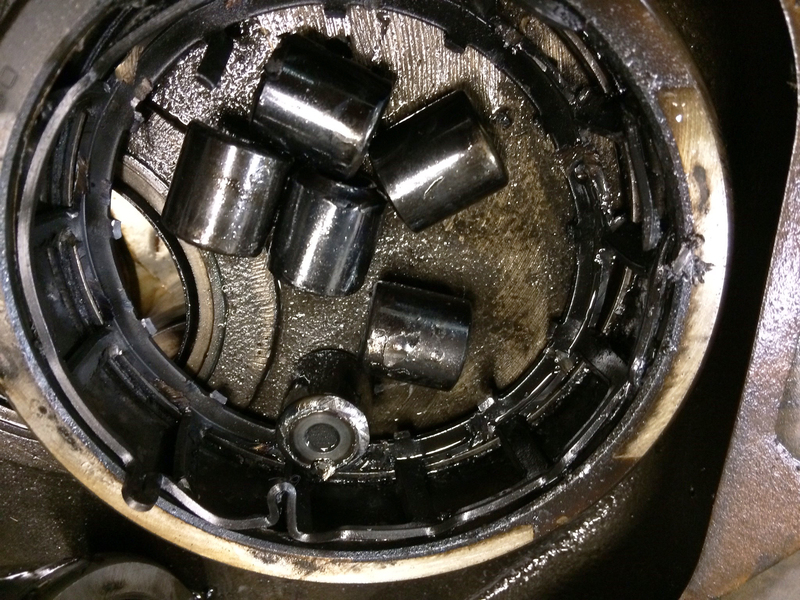 Last week our Service Technicians worked on this Truck Blower Repair to fix a seal leak. The Hydro Excavator truck is used in many industries such as wastewater treatment, mining, and oil fields for digging and excavating. The truck has a Howden Roots Truck Blower – Trinado 1112 DVJ Vacuum Blower. 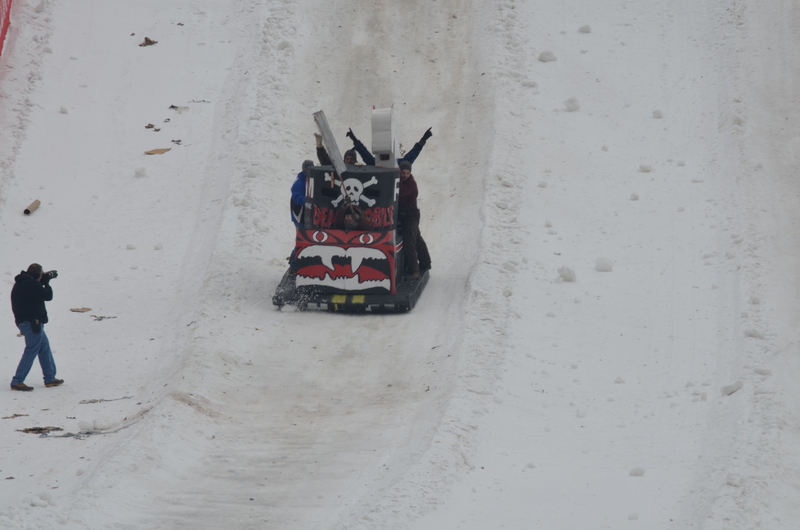 The service team performed routine maintenance and lubrication on the blower. Silencers were taken off to access to the blower to fix the seal leak. 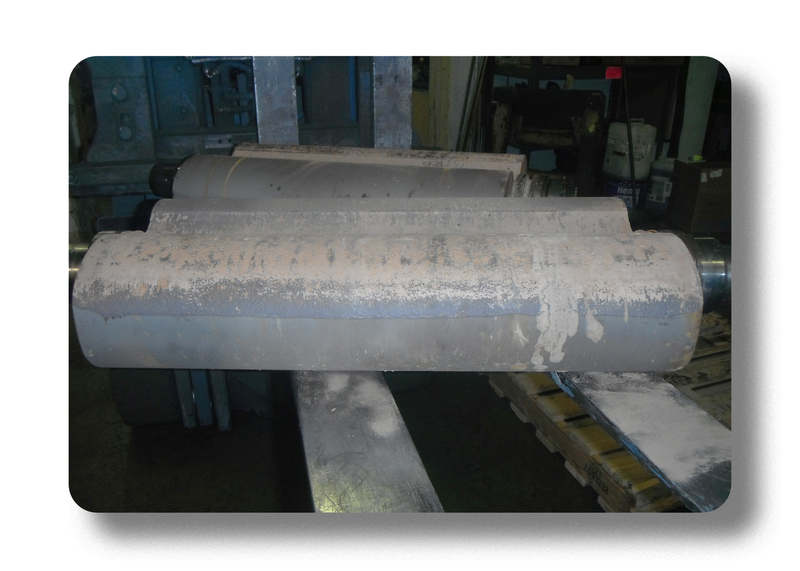 R&M Equipment’s evaluation found a clogged air filter on the truck, which we replaced. Please visit our Service page for more info.